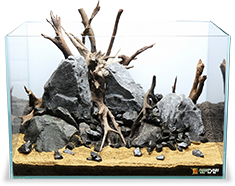 The Aqua Rebell fertilizers serve you with a broad product spectrum to cover all eventualities of your planted tank or aquascape. All products can be combined to fit your individual needs. Makro Basic and Makro Spezial cover the macronutrients, Mikro Basic and Mikro Spezial serve the micronutrients to your planted tank. 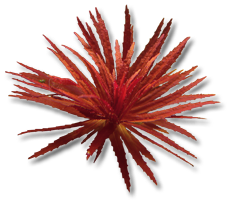 The Makro and Mikro Basic products are used to cover the main nutrients in every tank. 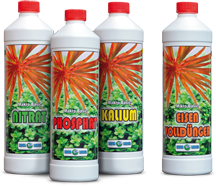 Makro and Mikro Spezial products can also be used to supply the main nutrients but they are explicitly used when needed.